The governor says many parties are to blame and that there is "no excuse for what happened"
Gov. 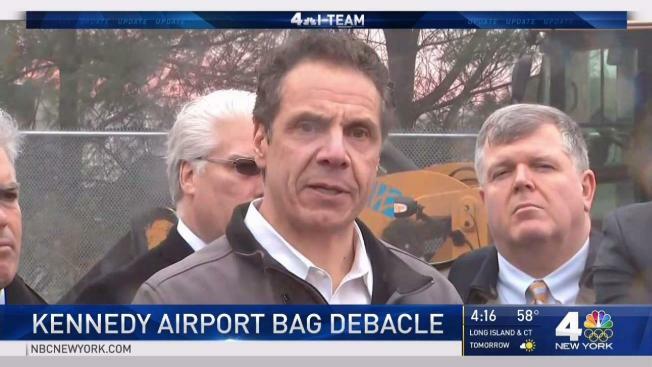 Andrew Cuomo is finally addressing the meltdown at John F. Kennedy International Airport following last week's winter storm that separated tens of thousands of bags from their owners for days. "I blame the private company that operated the terminal, the contractors who were brought in, the Port Authority who were doing the overall supervision," the governor said Friday. "I blame all of them." "It was unconscionable. I understand things happen but there was still no excuse for what happened," said Cuomo. Then a water main burst and flooded a Terminal 4 on Sunday. 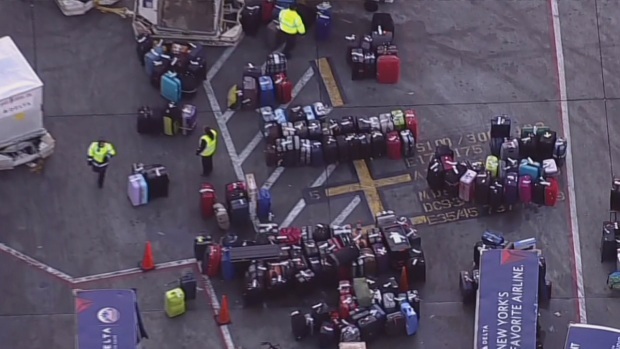 Amid the chaos, thousands of pieces of luggage got separated from their owners. At the height of the baggage disaster, tens of thousands of bags got separated from their owners, according to two sources familiar with the situation. 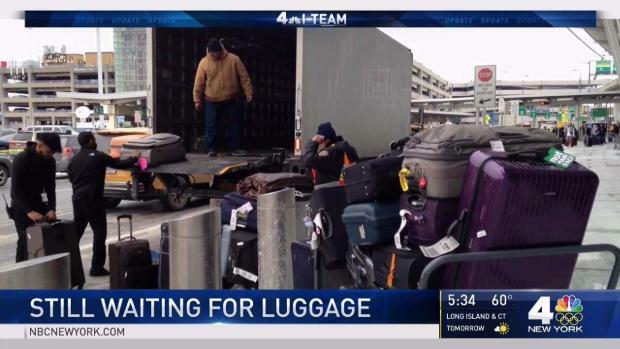 As travelers desperately awaited their missing luggage, News 4 reported exclusively on Tuesday that bags were being piled up in snow banks and the tarmac outside JFK. More missing bags were found stacked in the yard of BEX, the Queens-based luggage delivery service contracted by Delta, and in a Hilton New York hotel conference room near the airport in Jamaica. A hotel worker said they were from Air China and arrived there Wednesday morning. Flyers have been emailing News 4, detailing their frustrating efforts to get their bags returned. "I am at a loss for what to do next, except to wait and hope that my bag somehow makes its way home," wrote Kyle Krueger. While more people started getting their bags back on Friday, not everyone has been lucky. In Fort Greene, Brooklyn, the Hegewisch family has been taking turns waiting for the return of their missing luggage. The family had gone to Berlin for Christmas with four bags, and only two have been returned so far -- one was recovered at JFK, and the other somehow got to LaGuardia Airport. "There's no information," Jonas Hegeswich said Friday. "It's kind of crazy." On Wednesday, the family learned that BEX had their remaining two bags. 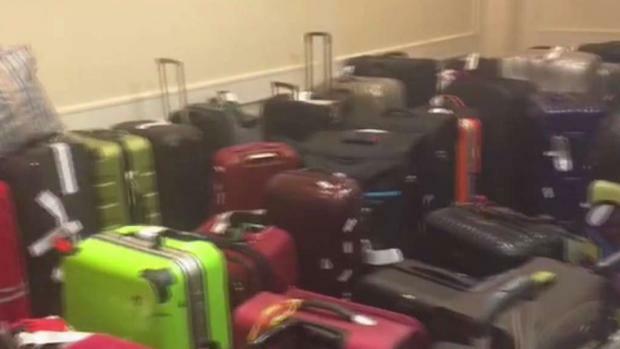 By Thursday, they still had no word on the bags, so they Googled the delivery company and found News 4's video report from Monday -- and incredibly, spotted their suitcase. "It was one of those moments when you do a double-take," said Lucas Hegewisch, Jonas' son. "I paused and did a screenshot." It was reassuring to see the missing bag -- but discouraging at the same time, knowing the company still has it and how much longer they'd have to wait to get both pieces of luggage. "It's aggravating," said Jonas Hegeswich. "It's not something that should be happening. Another traveler who'd contacted News 4 said he finally got two of his three bags Friday. Unfortunately, the delivery service left them on his stoop to soak in the rain, and by the time he dragged them inside, everything was ruined, he said. 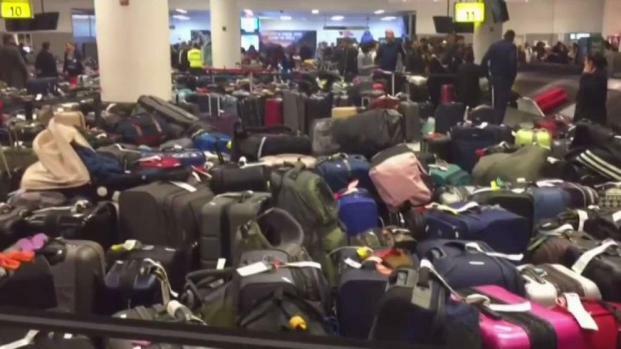 The terminals at JFK have made progress in clearing out the luggage from the airport, at least: by Friday evening, Terminal 1 had 200 bags from Air China customers waiting to be processed, compared to its height of 1,000 bags. At Terminal 4, all 4,000 bags had been processed and removed by Thursday.